At this time of year I'm in need of skincare products that soothe and hydrate my skin. The cold air can be harsh and dry out the skin so I've really been enjoying using the Monu Moisture Rich Hydrating Mask* to pamper my skin and restore it to full health. The Monu Moisture Rich Hydrating Mask* contains lots of fabulous ingredients to improve the skin. There is Royal Jelly; a rich source of vitamins, fatty acids and amino acids, Evening Primrose and Apricot Kernal Oils to help maintain suppleness and elasticity along with Kaolin Clay to deep cleanse and stimulate. The mask has a thick lotion texture that has a very soothing, slightly herbal scent to it. You apply a thin layer of the mask to cleansed skin and leave for around 10 to 15 minutes before rinsing with warm water. I love that this mask feels very comfortable on the skin. It does not set and leave the skin feeling tight at all, despite the inclusion of clay. I would describe this product as a comforting winter blanket for the skin as it adds a massive dose of moisture that lasts and I feel like it protects the skin from the elements. I think this is a great treat to use at nighttime and even without applying a moisturiser afterwards, my skin is still super soft in the morning. For an extra treat, I like to apply the Monu Soothing Touch Recovery Balm after using this and my skin feels even more amazing. The Monu Moisture Rich Hydrating Mask is available from the Monu website here for £28.95. Have you been adding more hydrating products to your skincare routine this season? Let me know which products you've been using. It's well and truly Autumn now so I thought I'd put together a little edit of Autumn lip products. 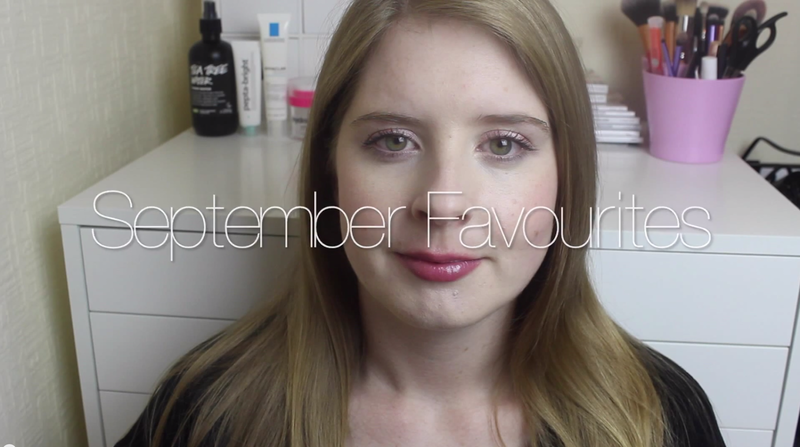 I've included something for every budget and formulation preference so hopefully you'll see something you like! Rimmel Apocalips Lip Velvet in Meteoric Matte (Boots £6.49) // This is your perfect budget matte lip. If you like wine toned shades, this might be the one for you! The lipgloss style applicator makes it easier to get a precise lip line too. Revlon ColorStay Ultimate Suede in Muse (Boots £8.99) // Scared of bold lips? This sheerer formula will allow you to add some colour without too much pigmentation. It has a satin finish too so you don't need to worry about it smearing or drying your lips out. NARS Audacious Lipstick in Janet (Space.NK £24) // The luxury buy and my favourite of the bunch. I've been loving this so much! It has a super long lasting, satin finish in a gorgeous berry shade that looks absolutely stunning for this season. I even wore this on a trip to Asda the other week! Well, got to get my money's worth... and it is worth the money! e.l.f. Lipstick in Gypsy (e.l.f. £1.95 - sadly the colour doesn't seem to be on the website anymore but there should be similar options) // The cheapest of the bunch but still a fab product! It's another wine kind of shade in a satin finish that seems more expensive than it is! My only criticism would be that the packaging is a little hard to twist but that's only a minor issue. This just shows you can definitely switch up your makeup for this season on a small budget. Rimmel Moisture Renew Lipstick in Glam Plum Fulham (Boots £6.49) // A gorgeous deep plum lipstick with a super moisturising formula. One for those who prefer a more glossy finish but still want a very pigmented look. Maybelline Baby Lips Electro in Berry Bomb (Boots £2.99) // Maybe you're not a lipstick lover and prefer something a little more subtle. You can stick rock (slightly) berry lips with this lip balm. This will add a subtle tint to the lips and it smells so good! Very fruity! MAC Lipstick in Girl About Town (Debenhams £15.50) // I couldn't not include a MAC lipstick really! I don't own the classic Rebel shade but I think Girl About Town is a nice alternative Autumn lip. It's pink with a touch of berry and it's in my favourite finish, Amplified, so it's very pigmented and smooth to apply. Beautiful! Sleek True Colour Lipstick in Mystic (Boots £4.99) // The brightest pick and it's a full on purple. Not for the faint-hearted but it's sooo good! This is a great one for a night out and will stick around after several cocktails as it's a matte one. The swatches below are in the same order as the product line-up. What do you think of my Autumn lip picks? What will you be wearing on your lips? Another Sephora haul! They had their Holiday/Christmas gift sets in so I went a little wild for them! There will be a second video coming on these as I placed another order a few days after this one! 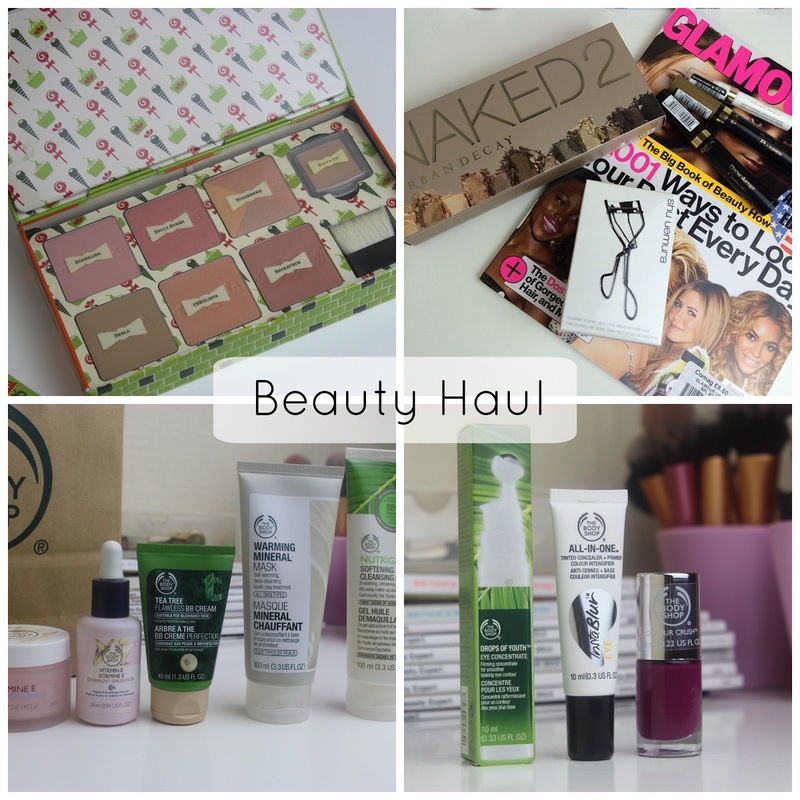 Last week I filmed all of the beauty bits I picked up in town for your viewing pleasure! Hope you enjoy my haul :) Thanks for watching! A few weeks ago, I mentioned my love for NARS makeup and posted a makeup look using some of the NARS products I have. Today I decided to create another makeup look using some different products. I really wanted to use my new Audacious Lipstick in Janet so decided to create a Modern Autumn makeup look. I used NARS Radiant Creamy Concealer in Chantilly over my dark undereye circles and then applied NARS Sheer Glow Foundation in Siberia to the rest of my face. Both of these are full coverage so you can really improve the look of your skin with these. I just love how they are a great match for my skintone too. It can be difficult to find foundations that are light enough for my skin. I then applied the silky, smooth NARS Smudge Proof Eyeshadow Base over my eyelids to prep them for my eyeshadow. This really does increase the longevity of my eye makeup as well as creating a smooth base to apply it on. I applied the NARS Dual Intensity Eyeshadow in Callisto all over the lid, blending it out around the edges. I would describe this as a grown-up silver shade and I love the finish of it. It's metallic with a finely milled shimmer in it. It's beautiful and there's no fallout. I applied non-NARS mascara and brow gel as I'm yet to own any products from NARS in those categories. For blush, I chose the NARS Blush in Gaiety, a gorgeous rosy pink shade. It looks like a super bright, Barbie pink in the pan but I find it goes on deeper and more subtle than that. It adds a natural flush of colour that looks like I've just stepped outside on a cold, crisp day. The final product that I used is the NARS Audacious Lipstick in Janet. I picked this as it's a gorgeous berry shade that's perfect for Autumn. When I posted this on Instagram, I got so many likes compared to my other photos so I'm guessing this is a popular choice! I'm loving this formula as it's really pigmented but it has a gorgeous satin finish that is really long lasting and comfortable on the lips. I really need to add more of these Audacious Lipsticks to my collection! I hope you like my Modern Autumn look. I love it so much as I think I suit lighter shades on my eyes and it's a nice refreshing change to pair a lighter metallic eye with flushed cheeks and a berry lip. What makeup looks will you be wearing this season? Have you tried the NARS Audacious Lipsticks yet? Shade recommendations welcome! I've updated my blog sale again! This time with MUFE, MAC, Charlotte Tilbury, Tarte, Clinique, etc! Probably my best blog sale ever, even if I do say so myself! Check it out here! I was recently offered the opportunity to try ARK Skincare for the first time. I was able to choose one of the Age Aware Discovery Collections that all contain a cleanser, exfoliator, moisturiser and a masque. ARK Skincare prescribe skincare based on skin age rather than skin type. Their ranges are Age Prepare - for teens to early 30s, Age Maintain - for mid 30s to 50 and Age Repair - for 50+. They believe the ageing process has two main transition periods related to hormone changes and have designed their products with this in mind. There is an Age Aware Discovery Collection for each of the 3 ranges so as a 29 year old, I chose the Age Prepare collection. The sets contain a 30ml sample of each product and I think this is a great way to try a new skincare regime without forking out for all of the full sizes! The cleanser is a thick clear liquid that you apply to dampened skin. It feels quite soothing to massage into the skin and it doesn't foam on contact with water. This is great at cleansing the skin but it does leave my dehydrated skin a little dry and tight. I am a massive lover of balm cleansers so I'm more used to the feeling they leave behind but the tightness can obviously be rectified by moisturising. I feel like this product would be great for oily or teenage skin. The cleanser is quite creamy and has gentle exfoliating grains that do not feel harsh on the skin. This does a great job at buffing away any dead skin to reveal smoother skin. The texture of the moisturiser isn't too light or too heavy but I do find that it doesn't quite provide enough hydration for my dehydrated skin. I'm sure this would be perfect for anyone with oily or combination skin though. It doesn't leave the skin looking or feeling greasy either. This is a nice thin cream that you apply to skin for 10 minutes before rinsing off with warm water. With it being a clay based mask, it creates a tight feeling on the skin as it dries. This does leave my skin craving moisture once removed so I do need moisturise immediately but it also leaves my skin leaving fresh and calms any blemishes I have. I think this is a great starter set for someone who is new to skincare or someone who wants to put a whole skincare regime together but doesn't know where to start. I do think this is more suited to oiler skin as it doesn't provide enough hydration for my skin on it's own. I am used to using richer products and serums though so it's no wonder that this collection doesn't provide quite the same results. From looking over the skincare range for mid 30s to 50, I feel like those products would be more suited to my dehydrated skin. The conditioning cleanser, renewing exfoliator, soothing masque and replenishing moisturiser sound ideal! The Regenerating Skin Defence also sounds perfect for my skin, being a treatment serum. If you are interested in buying one of the Age Aware Discovery Collections they are available here priced between £28 and £30. Have you ever tried anything from ARK Skincare? What is your favourite skincare brand?